Recommended Text: The Atmospheric Boundary Layer, by J. R. Garratt, 1992, Cambridge University Press, 316 pp. (available on Amazon for $78.19; this is a supplement to my on-line course notes, which cover what you need for following the lectures and doing the homework). Turbulence and turbulent fluxes, averaging. Convection and shear instability. Monin-Obukhov similarity theory, surface roughness. Wind profiles. Organized large eddies. Convective and stably stratified boundary layers. Measurement technologies. Large-eddy simulation. Boundary-layer parameterization. Energy fluxes at ocean and land surfaces (including soil and vegetation interactions), diurnal cycle. Cloud-topped boundary layers. Homework (50%): you may collaborate on this, though I ask that you write your own Matlab or Python scripts and description of results. To minimize paper use, use Canvas to submit your assignment. Term project (50%) on some topic of your choice related to the class (please see me for approval of your proposed topic). Each student will do a 15-20 minute oral presentation on their topic during the last two class sessions (29-31 May) and email me a 5-10 page written report by 11:59 pm on Tu 5 June. Lecture notes (pdf). Some lectures take more than one period to complete. I may assign a few of the lectures as out-of-class reading and use class for discussion and examples instead. Lecture 1 and slides: Introduction; instabilities. Flow Instabilities. Please also watch the NCFMF video Flow Instabilities. Lecture 2 and slides: Turbulent flow. Please also watch the NCFMF video Turbulence. Lecture 4 and slides: Boundary layer turbulence and mean wind profiles; mixing-length theory; observing technologies; LES. LES animations of a stratocumulus topped boundary layer (courtesy Bjorn Stevens, MPI): Vertical cross-section of w and horizontal view of cloud albedo in a 4 x 4 km domain. LES animation of Cu rising into stratocumulus in a 6 x 6 km domain (courtesy Irina Sandu, ECMWF; white is cloud; grey blobs are rain). 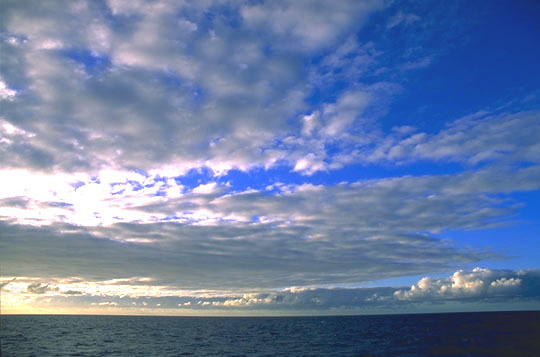 Lecture 14 and slides: Oceanic and cloud-topped BLs - observations. No class Tu 15-Th 24 May - Three meetings in Southern CA (made up via Monday lectures). hw1.py: Jeremy McGibbon's starter Python script for HW1. hw1.m Matlab script for solving HW1. hw3.m Matlab script for solving HW3. 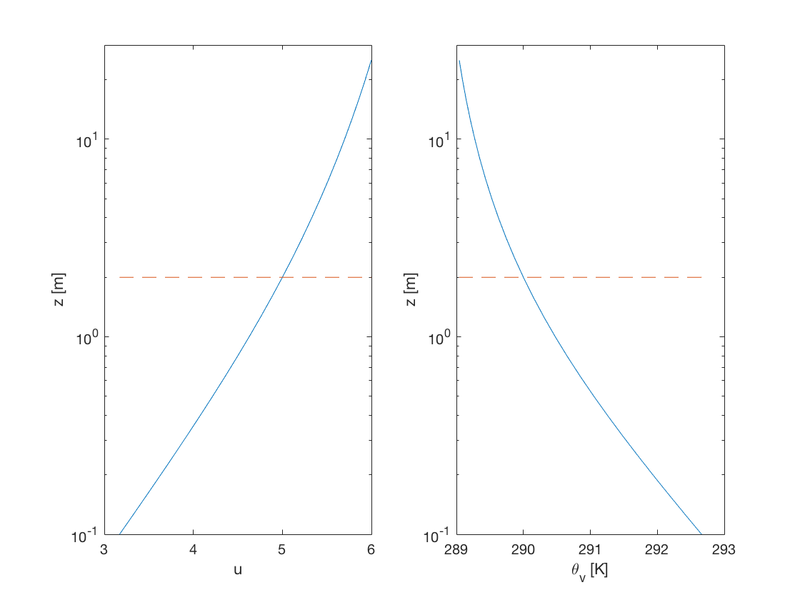 Template for HW4 P2 - Local K-closure model for dry convective BL with no wind shear: Klocal_CBL.m (Matlab-uses dthdt.m). Python translation Klocal_CBL.py (thanks to Emily Ramnarine and Jeremy McGibbon). hw4.m Matlab script for solving HW4.